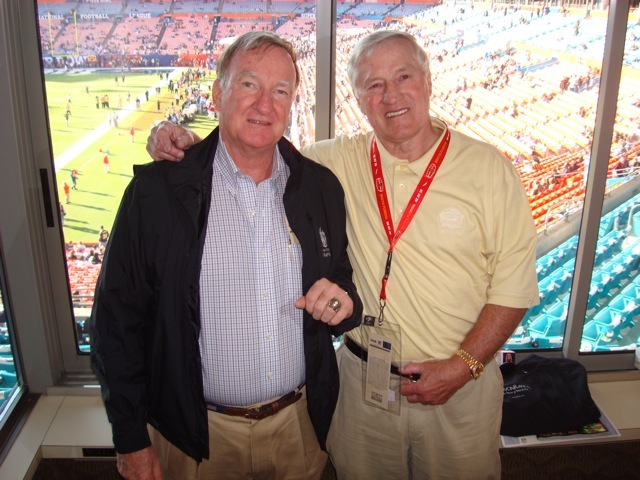 John and I lost a dear friend, one of the greatest football players in the history of the game. Jim Taylor played on four N.F.L. championship teams with the Green Bay Packers of the 1960s. He became the first star in Coach Vince Lombardi’s dynasty to be inducted into the Pro Football Hall of Fame. He also scored the first rushing touchdown in Super Bowl history! Our relationship with Jim goes back over 25 years. 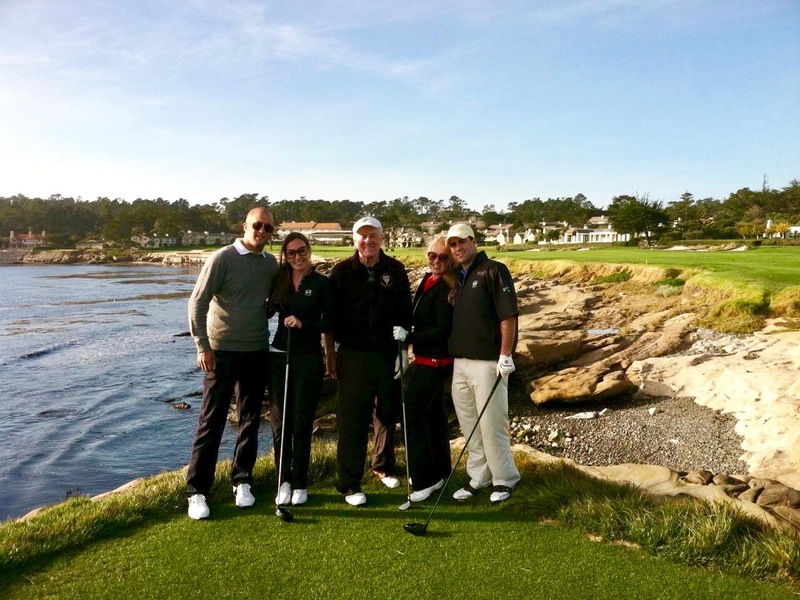 He has been our guest at the Legends Invitational at Pebble Beach. 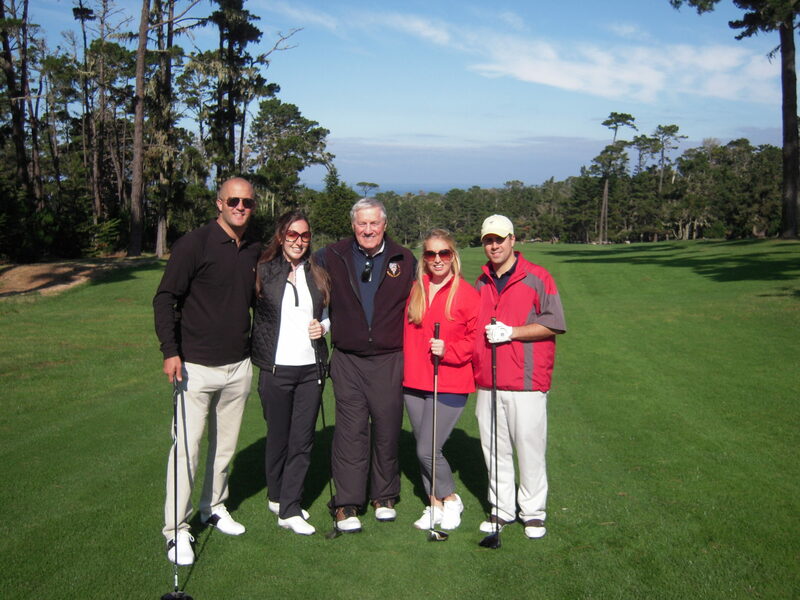 Our daughters and our son-in-laws played golf with him at the event. 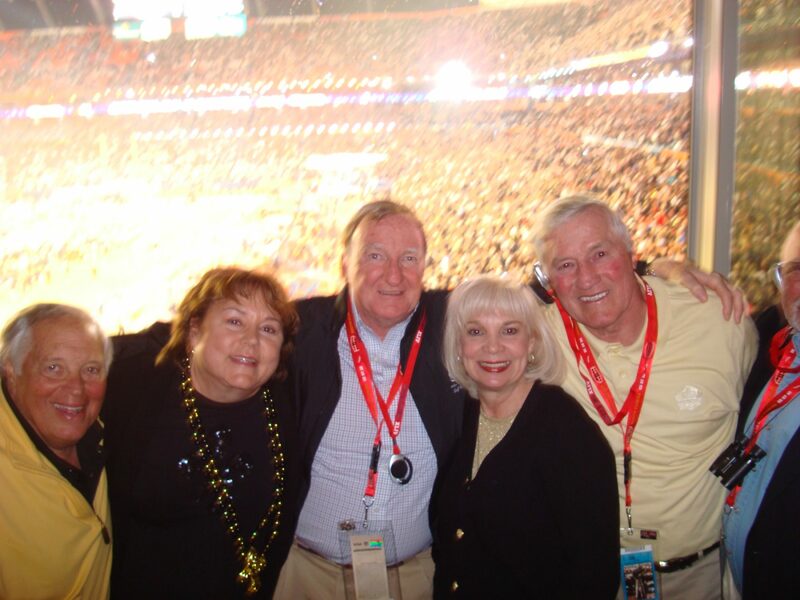 We were delighted to host Jim and his wife, Helen, at our Skybox for the Super Bowl played in Miami (Green Bay vs. New Orleans Saints). We invited Jim and Helen to Ocean Reef on numerous occasions including the Reef Cup and a book signing. We will miss Jim very much.